Oldland Reserves put in a magnificent performance at Sunnyside Lane, Yate today and were unlucky not to come away with all three points. The attitude and commitment shows a lot of promise and the Club has high hopes for the future of the reserves if they keep this up. Under the watch of caretaker manager Chairman Derek Jones for the first time, assisted by former O's boss Dale Dempsey, Oldland had strengthened the side. Full Back Danny Sage played his first game since a broken leg last year (falling over in the Dolphin, not playing football mind), Brett Richards looked calm alongside the impressive Scott Gregory at the back who had returned from a spell not playing and Harry Towler, the 16 year old left back proved there is nothing to be lost in stepping up into senior football. 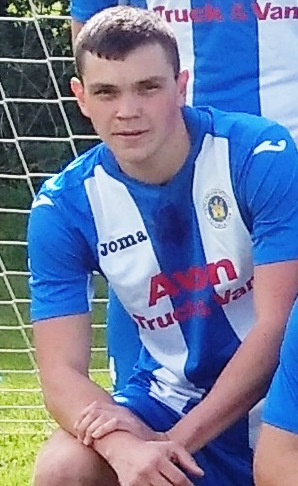 In midfield Oldland had Josh Southway who had also been out injured for some weeks with Dave English on the right and Under 18 Harvey Wright another who was happy to step up whilst Louis Rostron partnered Cain Henderson up front. The O's went behind early when a through ball saw Acton's heavyweight centre forward shank a left footer over the keeper but rapidly replied. First Henderson scored and then after four or five good chances, young Harvey Wright converted a rebound to put Oldland 2-1 up. It was a fascinating game to watch and Southway in particular was having a real old battle in midfield. In the second half, despite constant Oldland pressure and several unsuccsesful penalty appeals following challenges on Henderson, Iron Action equalised on 70 minutes. It was harsh as the game was all one way. Even worse, despite the pressure and assistant Dempsey calling for time a late 90th minute scramble saw the hosts take the lead. It was a cruel blow for Oldland and the home team celebrated as though they had won the cup, not scraped a last minute winner against bottom of the league minus 48 goals stragglers.